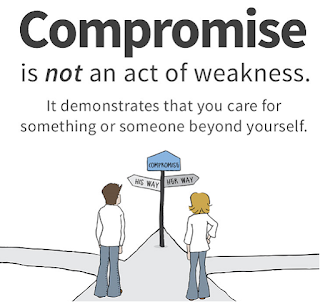 Oxford Dictionary defines Compromise as, "An intermediate state between conflicting alternatives reached by mutual concession"
Hence, compromise in usual parlance is related to giving up on something which is dear to us with a tacit understanding that it would resonate in the similar way from the other side. In a society where we live and work with people, there are many moments where we need to just do adjustments and run day to day chores. 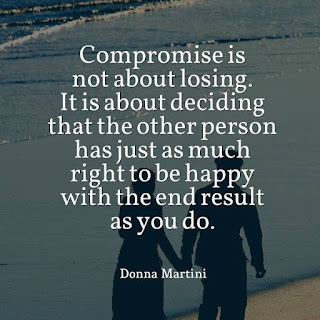 Positive Compromise for me is an idea where rather than focusing to much on the perceived loss, we can look at positive outcome. For example we hate a colleague but then when we look at positive attributes in that person and accept working with him/her, the outcome can bring better work relationship and overall harmony. Former President of the United States, Barack Obama had once mentioned, "We lose ourselves when we compromise the very ideals that we fight to defend. 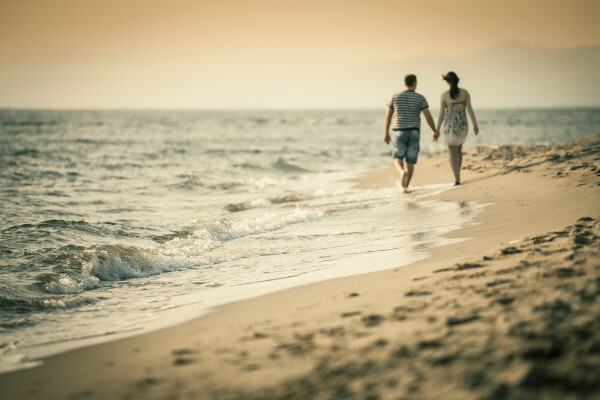 And we honor those ideals by upholding them not when it's easy, but when it is hard"
Identify the right approach to communicate: Before reaching a compromise, the ideal approach would be to communicate with people you trust and put your point of views. With this understanding, the communication with the other side would be surely better. Be Mindful of what you believe in: Understand what your beliefs are and try to recollect if sticking on to it was helping you feel good about yourself and the people around. What is something which you can get rid of, especially if it was not helping you? Think about it. Start with an open mind: Starting with an open mind is necessary. If stressed, you can try a meditation practice (many free resources are available online and Mindfulness Meditation can surely help. Stay focused on combined happiness. Take long walks and be alone with yourself. Think of the happy consequences: Try to evaluate if the consequences of a compromise is worth the exercise. 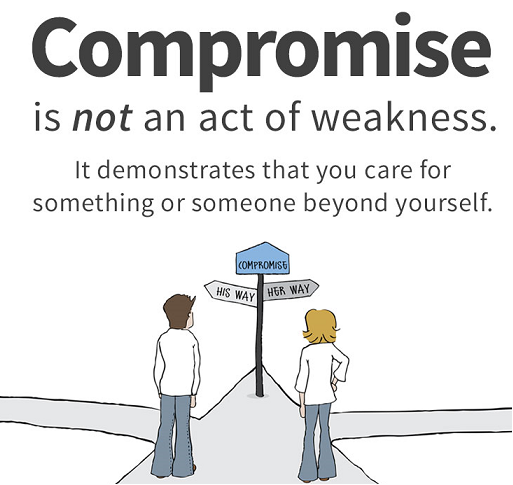 Understand what rewards a compromise may bring. You still don't have to loosen your value system. Its just that you need a fresh air of an alternative point of view!